Sometime in the next week, Shane Getkate will pull a green shirt over his head and silently thank a man called Terry Flowers. 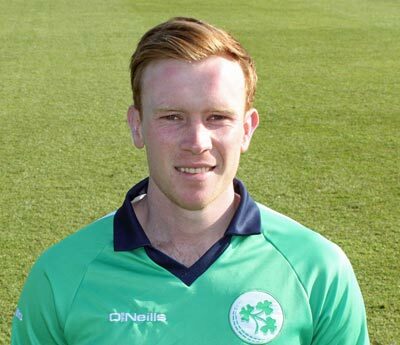 The hard-hitting all-rounder is in the Ireland squad for a string of ODIs and T20s in Oman and India, aiming to confirm a place in the formats in which Ireland have been floundering lately. But only for Flowers, a paramedic, he wouldn’t be anywhere near the Al Emerat Stadium in Muscat. Durban-born to a South African father and Irish mother, from his first team debut at Malahide aged 13, to his Ireland U19 debut aged 15, Getkate has always been high on the “next most likely” lists of selectors. 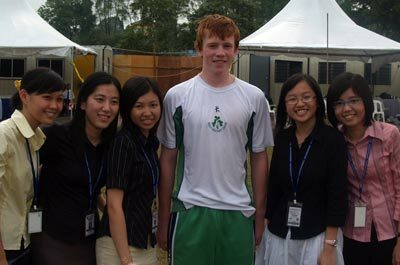 Aged 17, in the summer of 2009, he was called up by Phil Simmons for a short series in Scotland. He carried the drinks on that trip, and the one game he was tipped to play was abandoned without a ball bowled. 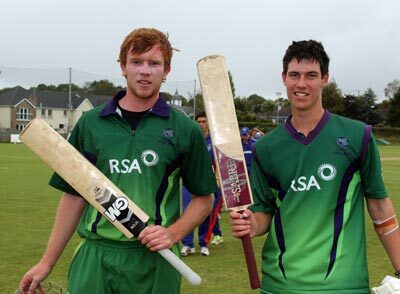 Still, Ireland weren’t coming down with young fast bowlers at the time and he seemed certain to join his old school- and club-mate Eoin Morgan as a full international soon rather than later. But his story was interrupted by injury, illness and near-tragedy. He had been on the radar of Warwickshire since he was 14 and had spent several summers flying back and forward to turn out for the county’s underage sides. 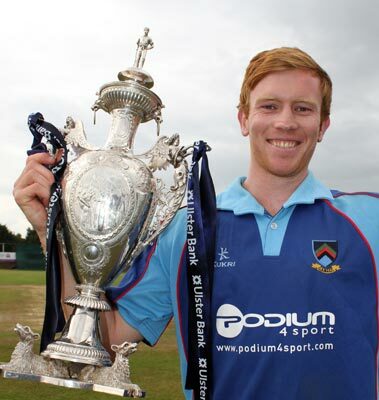 In June 2011 he was playing for the 2nd XI in Solihull when he collapsed. He had a condition called Wolff Parkinson White Syndrome, a condition in which there is an extra electrical pathway in the heart which can lead to periods of rapid heart rate. “I usually would just put an ice pack on the back of my neck, and I’d be fine after a rest.” He was on his back for two weeks. Every Christmas Day since has rung Terry Flowers, that paramedic, to thank him for the gift of life. So Getkate decided to come home, concentrate on the Under 19 World Cup and getting into the Ireland set-up. He enrolled at Blanchardstown IT but then a great opportunity arose on the prestigious MCC Young Cricketers scheme at Lord’s, the nearest thing the game has to a gold-plated apprenticeship. He spent 2013-14 there, working with top coach Mark Alleyne and getting to train every day at Lord’s and tour Dubai and Abu Dhabi. For a young man with ambition, that could have been the blow that persuaded him the game was not for him, but Getkate had been through too much to quit now. Things fell into place and he got a club contract with Civil Service North and moved up to Belfast. It was a game changer for Getkate, who was the first player for years to permanently switch unions. “I wasn’t too sure about my game, and I didn’t know where I stood with the selectors,” he admits. “But since Graham has come in the communication has been brilliant and everyone knows their roles and what’s expected of them – and what Graham wants them to do for Ireland. Getkate had a good run with the Wolves last summer and made scores of 37, 56, 86 and 13 against Sri Lanka A last month. Those innings, in front of the Ireland head coach, seem to have done the trick. 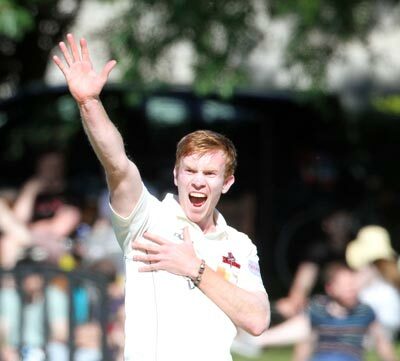 Having started his career as a pacy bowler who could bat, at 27 Getkate is now more of a batter who bowls a bit. His big hitting could see him play a role down the order for Ireland, becoming Ford’s first debutant in the coach’s 25th game. Current world T20 rankings: 11th Netherlands, 13th Scotland, 17th Oman, 18th Ireland.